Welcome to Pete's Thousand Peaks! This is the home page of Petesthousandpeaks! 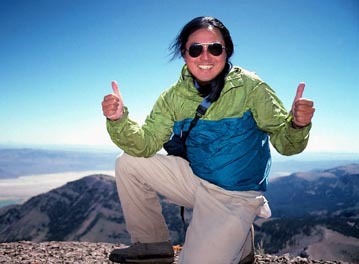 The purpose of this website is to chronicle my personal peak climbing, hiking, and Earth travel, done in a safe, enjoyable, successful, and responsible manner, throughout the Pacific West of the United States of America. 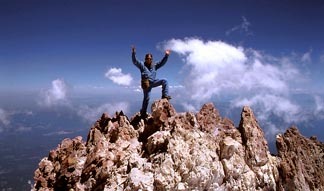 I have personally completed now well over one thousand peak ascents, mostly in California, but also in the rest of the Western United States. Doing similar numbers of hikes, I've perhaps driven over 400,000 miles of fuel efficient traveling and road trips, over modern super highways to riding on the worst imaginable 4WD tracks. Mass transit is supported with an additional few thousands of miles ridden. My current 1,423 peak ascents have been completed over some 751 separate summits. 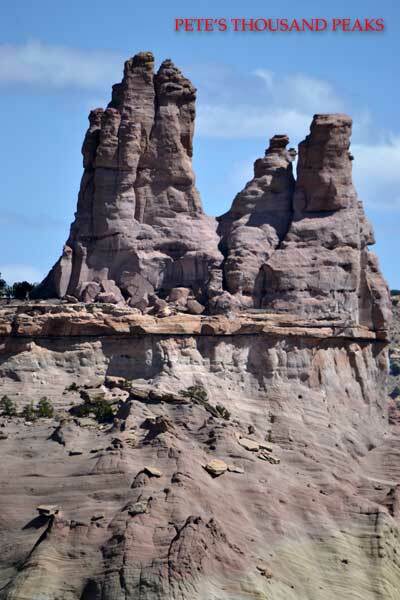 My climbing is concentrated mainly in the Sierra Nevada, with various other ascents throughout the Southwestern Desert, the Great Basin, Coastal Ranges, Cascades, and the Rockies. Being an avid Nikon, and now lately, too, an iPhone photographer and dash cam user, I have captured perhaps four hundred thousand digital images, 35mm Kodachrome slide film pictures, and movies of the summit views, ascent routes, and travel features, enroute. And, tens of thousands of photographs, plus hundreds of movie clips, with plenty of descriptive text, are displayed on this website! We do care and we do share! I am also the author of the free-for-use, online Northern Sierra Peaks Guide, which details route directions on 86 peaks in or near the Northern Sierra Nevada, from roughly Adams Peak to Leavitt Peak. Having personally completed a total of over 300 peak ascents about the range of this Guide, all route descriptions therein are taken from notes made during my personal, actual, explorations. Keep it wild and free, and clean and green! E-mail, to initiate a live chat session, for questions, comments, and requests, to my newer web presence at the Thousand Peaks Club at Facebook, https://www.facebook.com/pages/Thousand-Peaks-Club/724781380938192 which is now again active. Be advised that shortly, this website may also be furthermore inactive. For any access to any content after elimination from the servers hosting presently, my messaging venues may still be available. Copyright ©1999-2019 All images, movies, and text in this website are protected under the copyright laws of the United States of America. Any form of unauthorized reproduction, copying, transmission, or use, without express permission and credit, is strictly prohibited. The Reader or Viewer assumes all responsibility and liability for any and all of his or her actions in engaging in or following any of the suggestions or directives, written or implied, in any part of this website, or in any links to other websites. The completion of any activity, described herein, is not worth any injury or life! Search, rescue, evacuation, legal, and medical expenses are generally the responsibility of the recipient. NONE of these activities are recommended for children! While this website does not contain any sexual or violent content, to the best of my knowledge, parents and teachers may be advised to block children from accessing this site. Many such outdoor activities described herein can be extremely dangerous, with potential liability attached. The content of this site is meant for mature, responsible adults! This site is best viewed at a resolution of 1920 x 1080 pixels, full screen.